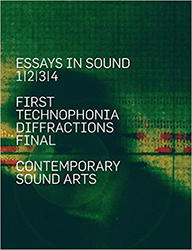 Essays In Sound is a series of academic articles which critically investigate sound theory and studies, encompassing historical, political, philosophical, artistic, and technological perspectives. Sam thinks he is big… really big! But then he comes across others that might be just a little bit bigger than Sam. In fact, huge! He realises that as a little toddler, the rest of the world is much bigger than he is. But that’s OK, Sam can sit down and share strawberry cake with the big things. A great illustrated book that grabs the interest of children. “I hold her teahouse poems more gently than I do most in my hands.” – Kathy Kituai, award-winning tanka poet and diarist “Exquisite and glorious” – Lizz Murphy, award-winning poet and poetry performer “Perfectly poised work. A remarkable book.” – Peter O’Mara, artist and poet “A lovely production, perfectly suited to your spare, elegant poems.” – Chris Mansell, poet, teacher and poetry publisher “A much needed story of old age told by a master poet.” – Dorothy Bysouth. The Tea House Poems is the latest collection of poetry from Venie Holmgren.